Apple has completely ignored the Google products from Mountain Lion 10.8.2. Select a photo or video in iPhone and click on share button in iPhotos, you’ll not find any of the well known Google products like YouTube, Picasa or Google+. 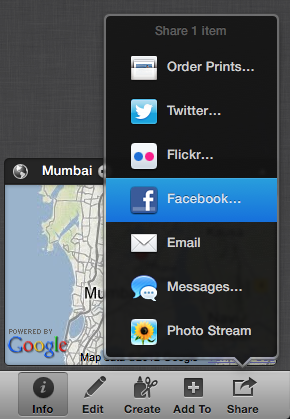 Share options in iPhoto in Mountain Lion. Same is the case when you click the share button in Safari. Share button is provided on left of URL bar. 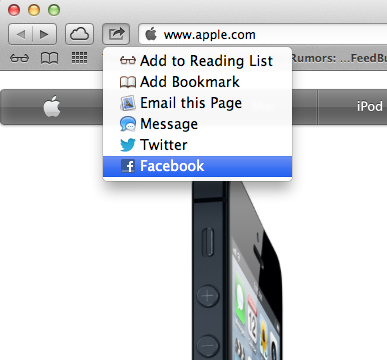 Share options in Safari on Mountain Lion. Such kind of sharing support is provided by providing plugin in each app. For iPhoto these plugins can be found in this folder /Applications/iPhoto.app/Contents/PlugIns. So far there are no plugins provided by Google to add support for Picasa, YouTube and Google Plus integration on Mac Operating System. How to change Gatekeeper settings?